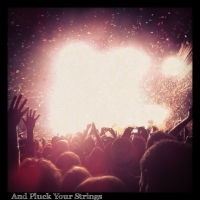 And Pluck Your Strings | Tag Archive | los campesinos! Los Campesinos! are one of my favourite bands, and last night they released a new song, ﻿Tiptoe Through The True Bits﻿. You can listen to it below and download it for free from their website, because they’re just cool like that. We’ve received another taste of the upcoming album ‘Hello Sadness’ from Los Campesinos!, this time in the form of the title track and first proper single ‘Hello Sadness’. It’s a Los Campesinos! song, so it is brilliant, frantic, and inspired. Earlier today Los Campesinos! confirmed what anyone who follows their social media already knew: the band have a new album coming out very soon. When I first heard this song I almost couldn’t believe that someone else not only felt the same way as me, but was also able to articulate it so clearly.